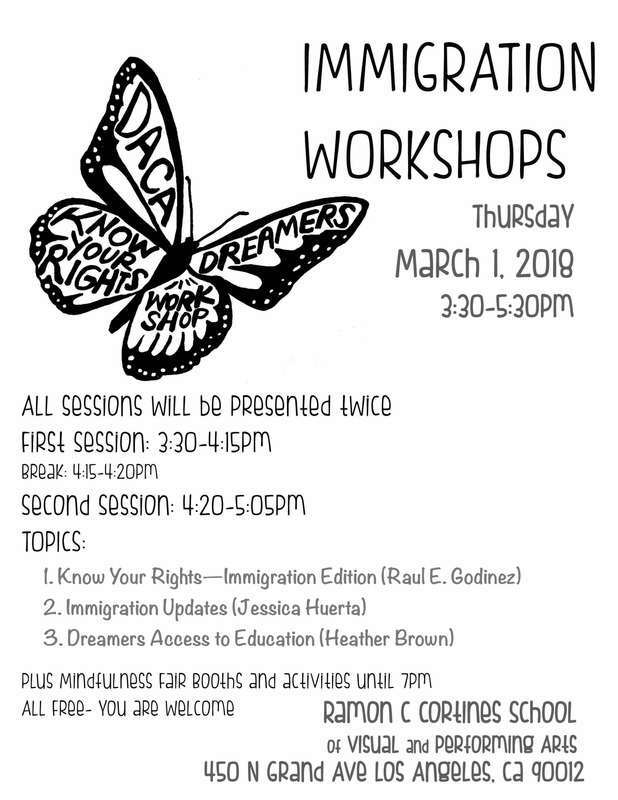 Students, Teachers, and Community members were invited to attend the immigration workshops. 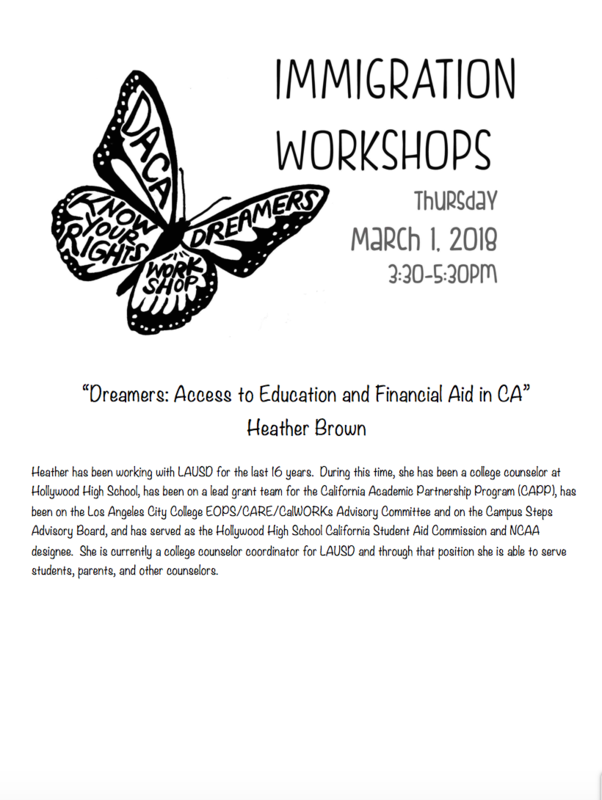 A lot of the outreach was done by VAPA's very own Dreamers club. The students distributed flyers and posters in the community through local organizations and churches. We also worked with some of the other local high schools to invite their student bodies. Each of the total 6 schools received posters and flyers and all of the principals made announcement regarding the event. *To ensure the comfort of our invited speakers and guests, we provided water and snacks and made sure to have translating services on hand for anyone who might need them. 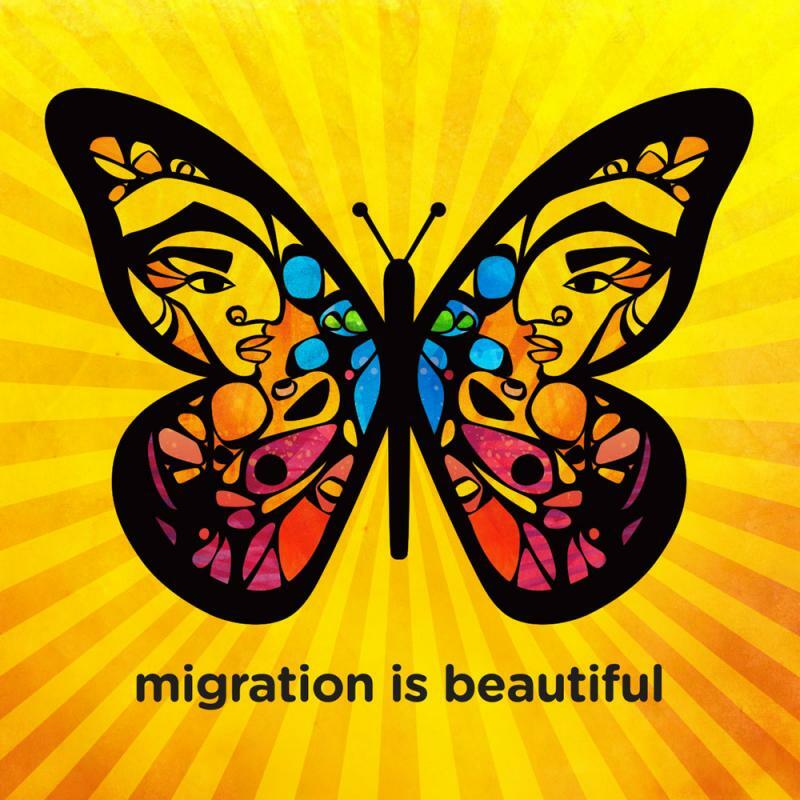 Because immigration is such a sensitive topic and members of the immigrant community so often feel targeted and scared, we made a conscious decision not to video tape or photograph our workshops. 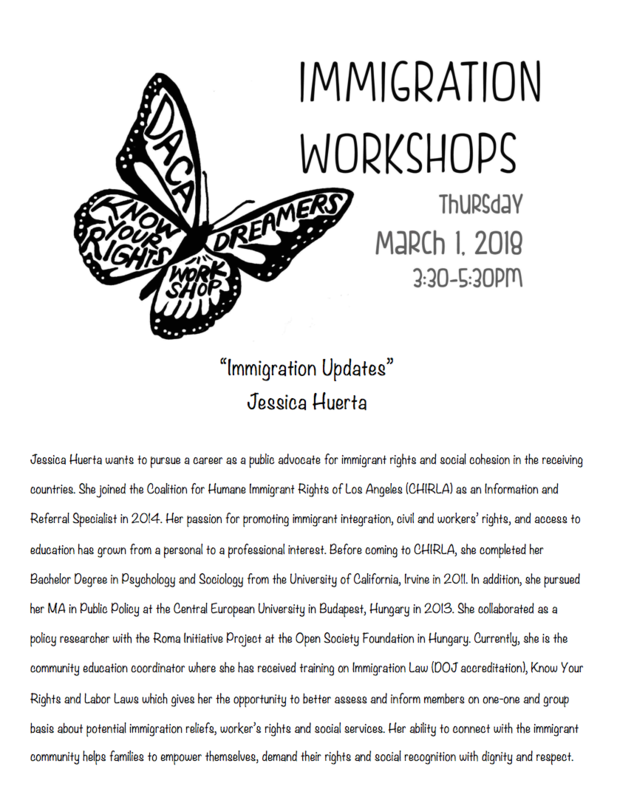 Join Us For Immigration Workshops tailored to the needs of our community and presented by our community partners: Heather Brown from LAUSD, Jessica Huerta from CHIRLA, and Raul Godinez, local lawyer. 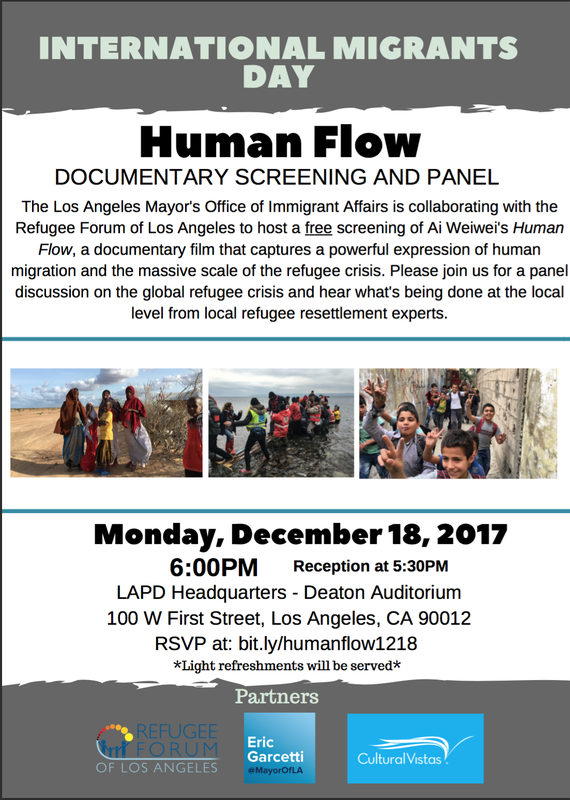 Join us for a screening and panel of Ai Weiwei's Human Flow @ the LAPD Headquarters in Downtown Los Angeles. Click on the Flyer to RSVP. 50 Parents and students from our school and neighboring schools in 3 workshops. 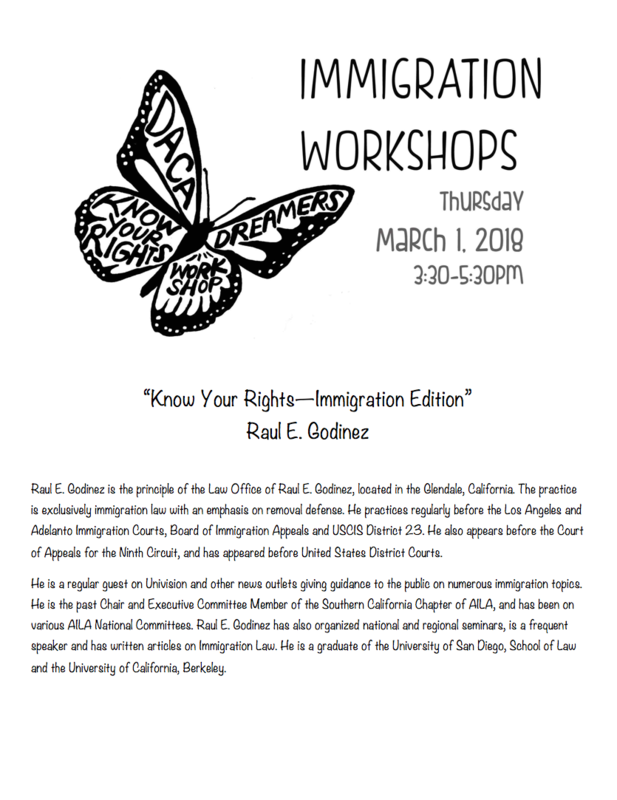 Create a “Know Your Rights” event in which parents and students can gather information on the impact of their immigration status on their schooling, and their safety in their interactions with authorities. 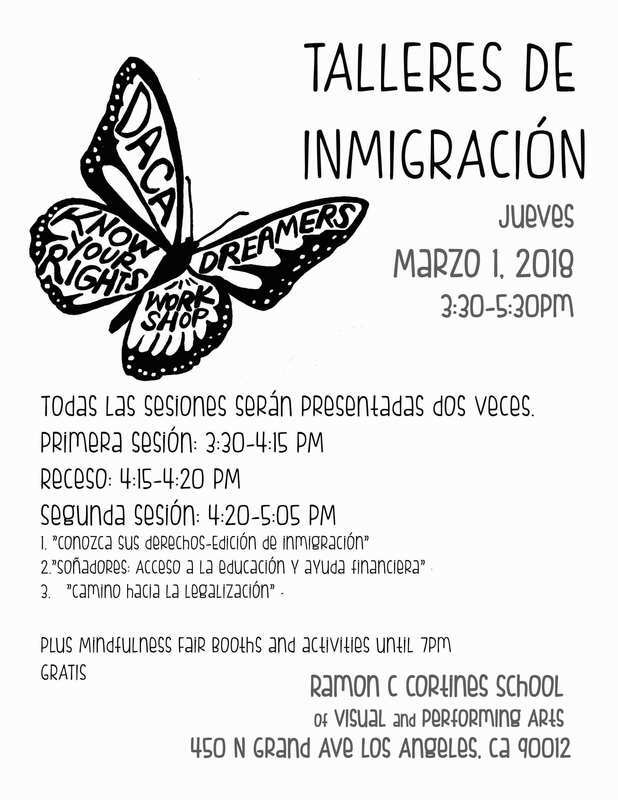 To give members of the community access to information regarding immigration (DACA, Know Your Rights, Sanctuary) and to increase community involvement by having the school be a center of community gathering.